"Our family has been in business for 148 years. We have diversified and met challenges or we wouldn't be in business today. Keeping our family together is really not unique, but it’s something we’re proud of." 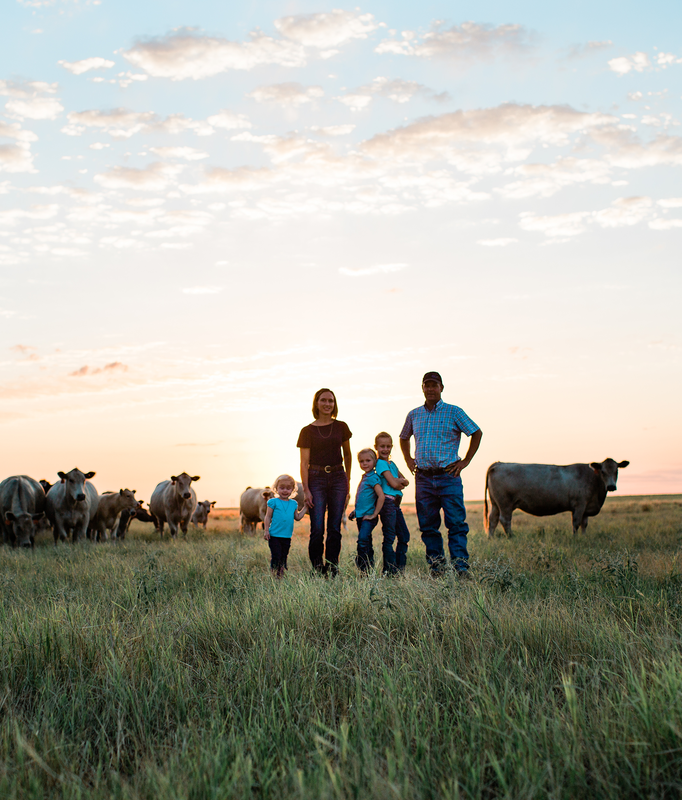 Tell us a little bit about yourself, your family and your ranch. Stuart Ranch is the oldest ranch in Oklahoma under continuous family ownership. We have been in business since 1868, and my grandson is the seventh generation on this four-county ranch. We have a cow/calf and yearling cattle operation. We graze a little over 3,000 acres of wheat pasture. We also have a wildlife and outfitting division plus we raise, train, show and use Quarter Horses in everyday ranch work. What is unique about your operation? Our family has been in business for 148 years. We have diversified and met challenges or we wouldn't be in business today. Keeping our family together is really not unique, but it’s something we’re proud of. Tell us about the greatest challenges and opportunities that you’ve faced on your farm or ranch. I had finished my chores last Sunday morning and I sat outside drinking a cup of coffee before church. We don’t have robins and I saw a pair. The turkeys were clucking and I could hear quail, meadowlarks and a mockingbird. I stopped to realize how beautiful that moment was. It’s the challenges in weather and livestock or dealing with things beyond our control. It’s seeing a newborn calf or foal or witnessing a sunrise between your horse’s ears. It’s smelling the big bluestem grass and Indian grass or seeing the Indian paintbrushes blooming. As a beef cattle rancher, you get to be a part of nature in all her glory. Those are my favorite parts. I love and respect the job I have been given. I feed my family the same beef the consumer buys. My reputation and my livelihood depend on my integrity as a cattle rancher. It’s my responsibility to my animals and to the consumer to use the best animal health practices and feeding programs available. I’m going to utilize everything I can to make sure the animal grows to its potential whether it goes back into the herd as a breeding animal or reaches the consumer’s table. Our family has not succeeded this far by being irresponsible. 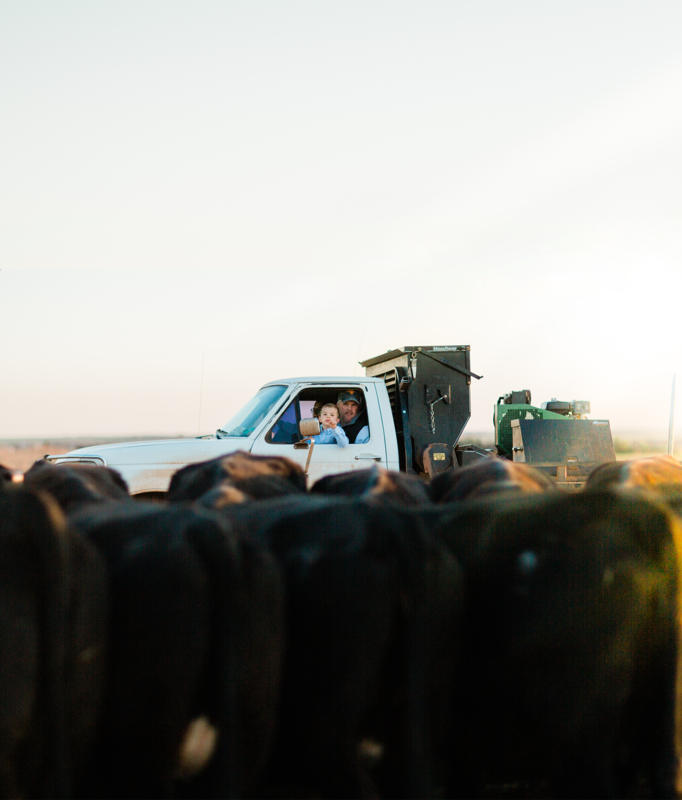 We take care of what we have and I’m proud of the way we handle our cattle and our resources. We have a true passion and love for what we do. In agriculture, your word is your bond. You respect and honor your land and livestock. You value tradition, legacy and integrity. Most importantly, I think all of us have a strong work ethic and a strong faith in God. I think honesty, respect and integrity are values we won’t relinquish or compromise. I believe they are integral to our being and the beef we produce. Those values should be very reassuring to the public that we are producing the best and safest food of any country in the world. God chose us to be good, responsible stewards of his creation. My family has survived all that weather and markets can throw at us. We have adapted to conditions. We have changed our plans, learning through mistakes and failures, how to best manage what God has entrusted us with. If we hadn’t managed well, we would not be celebrating 150 years of continuous family involvement in 2018. What is your favorite cut of beef and how do you like to prepare it? A rib eye on the grill.